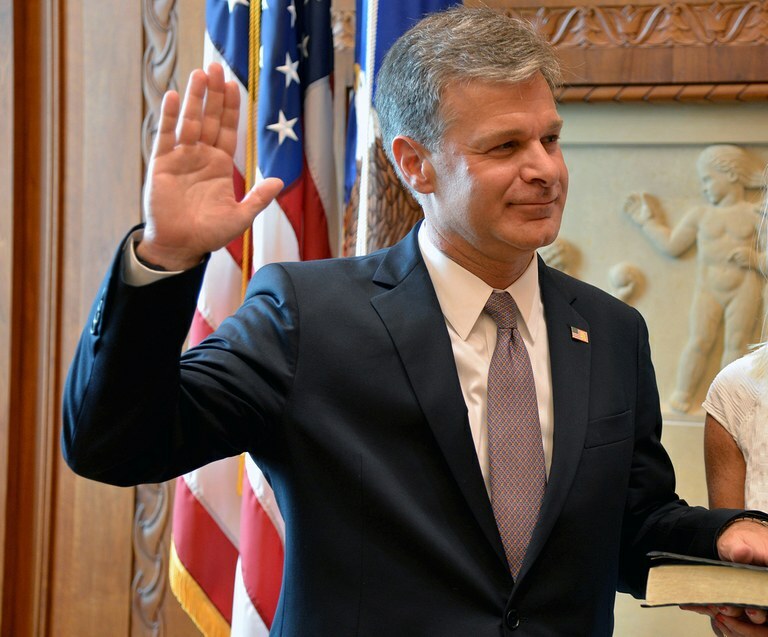 Christopher Wray is sworn in as the new FBI director. Photo via FBI. President Trump was a no-show while Chris Wray was officially installed as the new FBI director during a ceremony in a courtyard at FBI headquarters Thursday. Wray, a former federal prosecutor, was appointed by Trump after firing then-FBI Director James Comey, who also did not attend. Neither did special counsel Robert Mueller. White House officials said Trump wanted to stay away from the ceremony because of the ongoing Russia investigation. “Our mission is simple but profound — to protect the American people and uphold the Constitution. 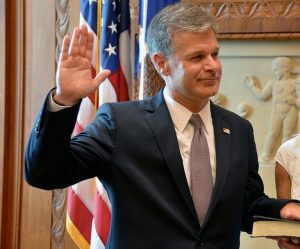 That mission hasn’t changed, and it won’t change — not as long as I have anything to say about it,” Wray said at the ceremony. Attorney General Jeff Sessions praised Wray as “brilliant, hardworking and an American patriot. Posted: 9/29/17 at 8:44 AM under News Story.